Eastern Washington University is seeking an Assistant Athletic Director for Development & Revenue. Reporting to the Senior Associate Athletics Director for External Operations, the Assistant Athletic Director will serve as the leader of all annual giving and ticket operations efforts for Eastern Washington University's Department of Athletics. This highly motivated professional will develop annual strategies to drive campaigns to grow both participation and financial support within Eagle Athletic Fund and Athletic Ticket Operations units balancing philanthropic generosity from EWU alumni, donors, and fans with the critical revenue needs associated with annual scholarship and operational funding. The successful candidate will manage the Eagle Athletic Fund's priority point system, which rewards the most generous donors with priority access to tickets, parking, and events. He or she will and develop an annual communication and solicitation calendar in collaboration with his/her university counterparts in annual giving. The incumbent will ensure the gift acknowledgment process is timely, accurate and effective and evaluate/lead any enhancements to processes, objectives, and goals to improve reach and effectiveness. Utilizing industry best practices, the incumbent will constantly evaluate ways to ensure that EWU Athletics is positioned to provide student-athletes with the necessary resources to compete for conference and national championships. On top of salary, the University offers a comprehensive benefits package including health insurance, life and disability insurance and retirement. In addition, EWU offers generous vacation and sick leave accruals, 10 paid holidays per year and fringe benefits, such as tuition waiver for employees, discounted EWU event and sports tickets and free transportation through STA buses. This position, during the course of university employment will be involved in the receipt of, or accountability for, university funds or other items of value; as well as the unsupervised access with the developmentally disabled, vulnerable adults or children under the age of 16. 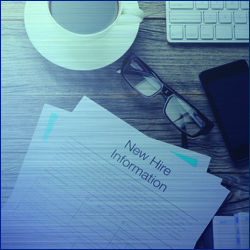 The offer of employment is contingent upon successful completion and passing of a background check prior to beginning employment. Occasional travel as well as evening and weekend work will be expected. Applicants must be able to maintain a thorough knowledge of NCAA and institutional rules, regulations, and policies. Three (3) years of experience in fundraising, marketing, ticketing, public relations, or sales. Candidate must demonstrate interest, ability and/or experience promoting cultural competency and/or diversity. Three (3) years of experience in athletic development at the Division I level. Experience in collaborating with a team involving different phases of advancement including communications, special events and alumni relations.